MANILA — While the heavy downpour prevented many from enjoying their #TGIF, those from the south found a sweet refuge at the #OishiSnacktacular event at Festival Mall in Alabang. 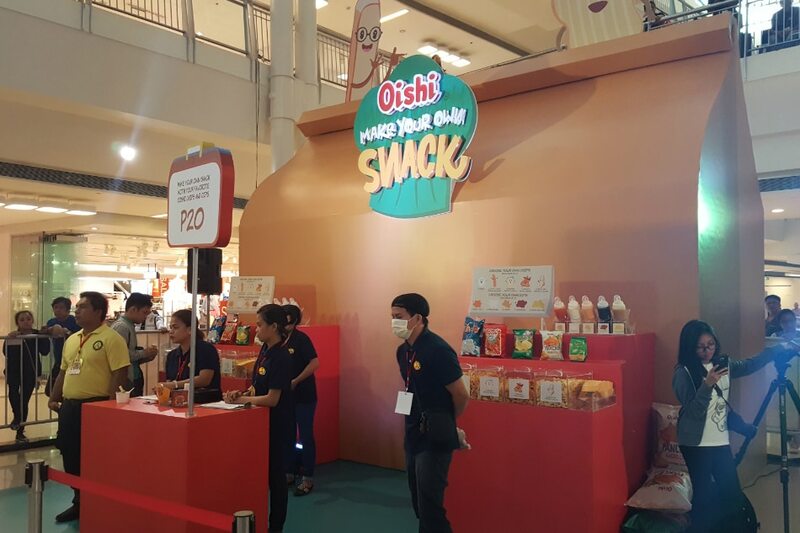 Held at the heart of the mall, the #OishiSnacktacular event featured five exciting activities that delighted all participants regardless of age. It started with a fun opening program with no less than Oishi brand ambassador and comedienne Alex Gonzaga, who gamely participated in the activities. The highlight of the activities is the “Snack Catcher,” where participants are strapped up into a harness and submerged into a pool packed with various Oishi snacks. Each participant is allowed to take home everything their limbs can grab, which will certainly make both kids and adults giggle out of excitement. 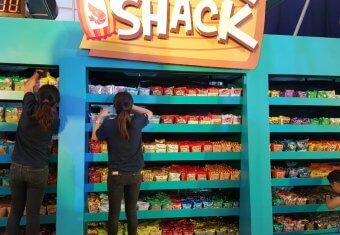 Another exciting activity is the “Snack Shack,” where each participant is given a two-foot Oishi pack that they could fill with their favorite Oishi snacks within 60 seconds. The “Cuckoo Blaster,” on the other hand, is a little bit more action-packed as it required one to catch as many balls as possible. Those who won at the “Cuckoo Blaster” took home different Oishi drinks, from flavored juices to milky refreshments. Meanwhile, those who are looking for a less physical activity lined up for the “O-Twirl” and “Make Your Own Snack” booths, which were set up side by side. 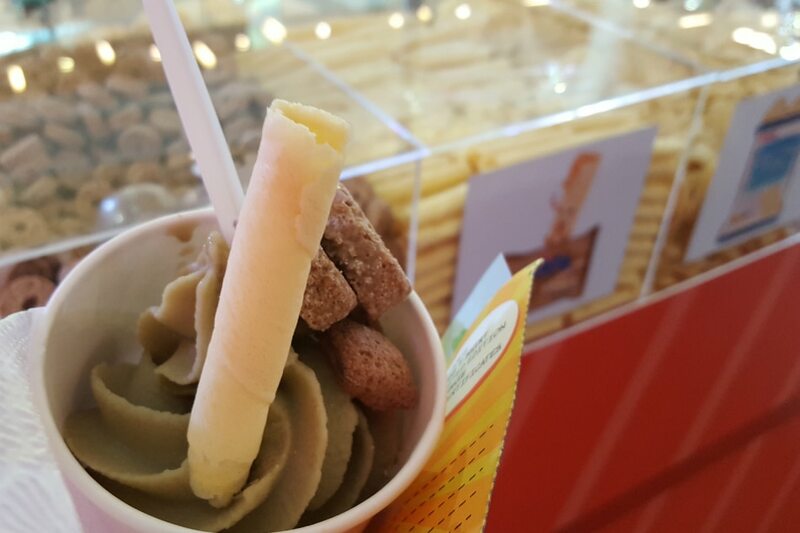 The “O-Twirl” booth features Choco Chug and Tea Matchi Matcha in soft-serve. One can also add 2 Oishi snacks as toppings. 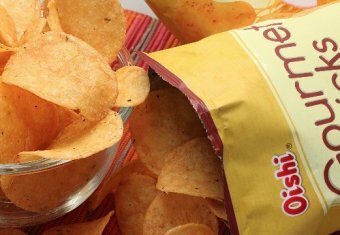 The “Make Your Own Snack” booth, on the other hand, allows participants to enjoy different Oishi chips in fun new dips (Sweet Chili, Cheesem Honey Mustard, Mayonnaise, Chocolate). To make things more exciting, those who participate in all booth activities shall receive a free Oishi t-shirt. Four lucky participants may also get a chance to win a limited edition Oishi Friends plushie and gift certificates. Another four lucky Instagram or Twitter users may also win an Oishi Friends plushie and Oishi snacks by simply uploading their photos with The Oishi Friends (Panya, Hippy, Pilyo, Waifu) and Cuckoo Bird who are roaming around the activity center. On Sunday, get a dose of “kilig” as “La Luna Sangre” stars Kathryn Bernardo and Daniel Padilla who will be joining the event to entertain fans and also participate in some of the activites. For live updates, check out Oishi on their website, Facebook, Instagram, or Twitter accounts. 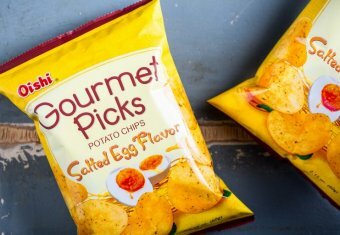 The Salted Egg Chips We’ve All Been Waiting For? You Have to Try Oishi’s Egg-citing New Snack!